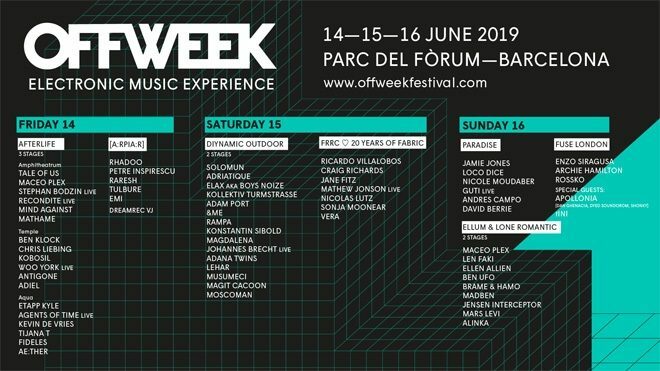 Off Week returns to Parc del Fòrum, Barcelona this June, welcoming some of the biggest DJs and club nights in electronic music. 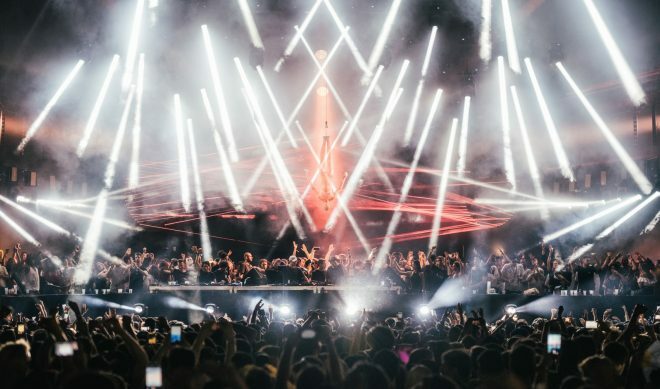 Afterlife, [a:rpia:r], Paradise, Diynamic, FUSE London, Ellum and FRRC x fabric 20th anniversary are the brands hosting parties across June 14 to 16, promising world-class sets from a host of revered house and techno artists. 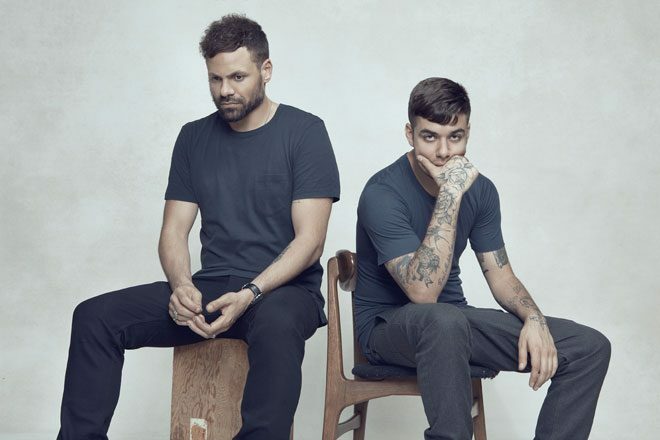 Afterlife kicks off proceedings on June 14, with Tale Of Us (pictured), Ben Klock, Chris Liebing, Maceo Plex, Stephan Bodzin (live), Recondite (live), Tijana T and much more locked in to play. The other party that night is hosted by premier Romanian label [a:rpia:r], with Rhadoo, Raresh, Petre Inspirescu, Tulbure and EMI confirmed to play. 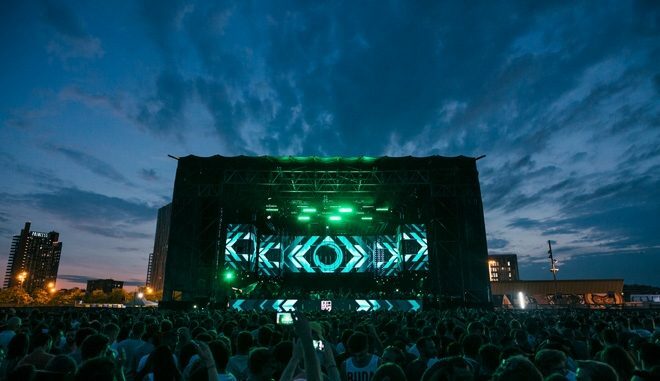 Diynamic Outdoor takes place on June 15 with sets from Diynamic boss Solomun, Adriatique, &ME, Adana Twins, Boys Noize under his Elax alias, Magdalena, Moscoman and more over two stages. FRRC also joins up with fabric to celebrate 20 years of the London club on June 15. Long-serving fabric resident Craig Richards unsurprisingly plays, and he'll be joined by Ricardo Villalobos, Jane Fitz, Sonja Moonear, Nicolas Lutz and more. Three parties close Off Week on June 16. Paradise is one of them, featuring Jamie Jones, Nicole Moudaber, Guti (live), Loco Dice, Andres Campo and David Berrie. FUSE London's showcase welcomes Apollonia and tINI as special guests, with Enzo Siragusa, Rossko and Archie Hamilton also playing. Ellum joins forces with Lone Romantic for a two-stage showcase featuring Maceo Plex, Len Faki, Ben UFO, Brame & Hamo and more. Attendees can expect eye-opening production for the Afterlife, Paradise and Diynamic stages, while a "special club atmosphere" is to be expected for the FRRC x fabric party, the Ellum party and the [a:rpia:r] party, which will have a VJ Dreamrec performance. An extra stage will be in place in the Temple area for Fuse's party on the final day. All of this is in the stunning setting of Parc del Fòrum, only a step away from the Mediterranean sea and in close proximity to the centre of Barcelona, making it easily accessible by both car and public transport. Day tickets or full festival tickets are available, ranging from €39 to €99. A backstage experience ticket can also be purchased for €399. Head to the Off Week website for more information and check out the line-up below.